Current V8 Supercars champion Mark Winterbottom is hoping changes to his car overnight will help catapult him further forward at Phillip Island tomorrow. Winterbottom qualified third but finished fifth in the 120km race at the WD-40 Phillip Island SuperSprint, still winless in the 2016 season. 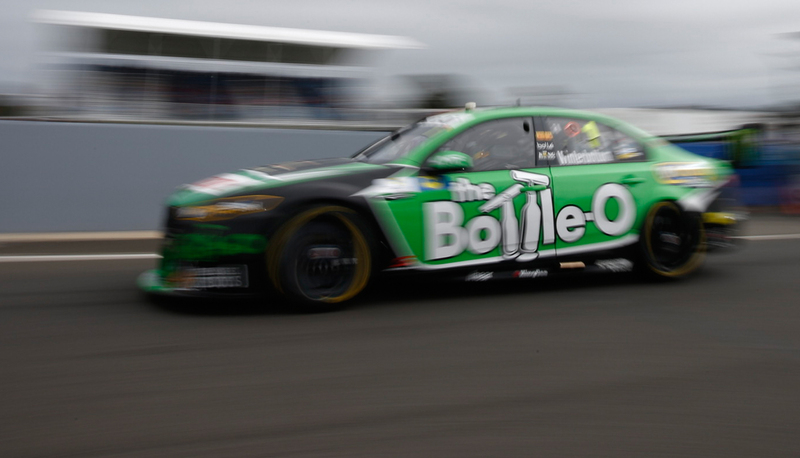 His The Bottle-O Racing team will complete an engine change overnight before qualifying and another 200km around the fast, flowing Phillip Island circuit tomorrow. 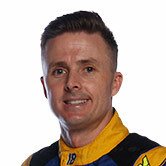 “Today wasn't too bad,” Winterbottom said. “The car's got a few little issues so the guys are going to have a late night tweaking her up, which I'm sorry for, but we have to address it because it's cost us a little bit of time. “We'll change the engine overnight and we'll go again tomorrow. This issue comes after an engine problem for teammate Cameron Waters, which ended his race and spilt oil on the circuit in Tasmania. The team also completed a precautionary engine change for Chaz Mostert last round after experiencing an issue with top end speed. Qualifying doesn’t faze ‘Frosty’ but he would like a better car over the distance – and tomorrow’s race is an even longer 200km. “We've got a quick car on one lap, which we proved today but we just have to make it better over the distance. “We had an average day and we finished fifth so you know you hop out of the car and gave it everything you have so fifth is not a bad result." Winterbottom lost his lap record to today’s race winner Scott McLaughlin in yesterday’s practice session. 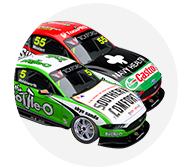 The #1 The Bottle-O driver sits third in the Championship points after today’s result, 42 points behind six-time champion Jamie Whincup.